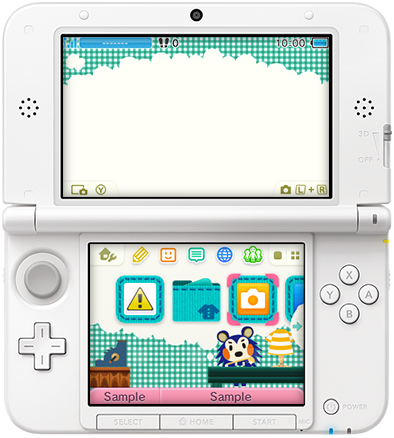 There's no word on whether the themes will be available in North America, but Japanese 3DS owners have a choice of 47 3DS themes at a small price. 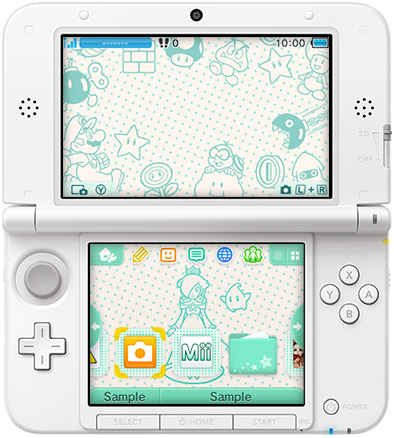 Update: Themes are now available in North America for 3DS owners after the latest update, Nintendo of America confirmed. 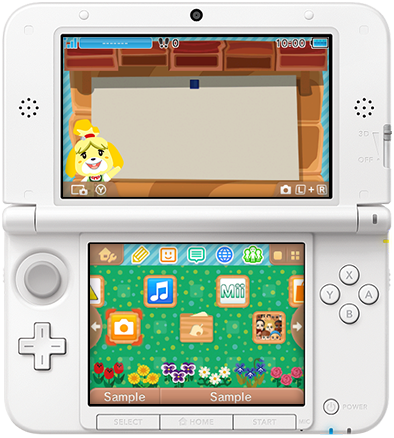 Five custom themes are available for free, and others can be purchased via the Theme Shop. 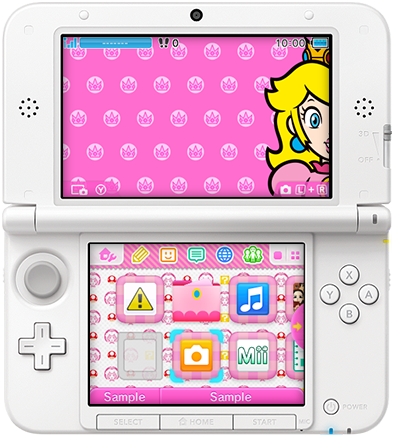 Original story: Japanese 3DS owners can pay up to 200 yen (about $1.82) for any of 47 themes in mid-October. 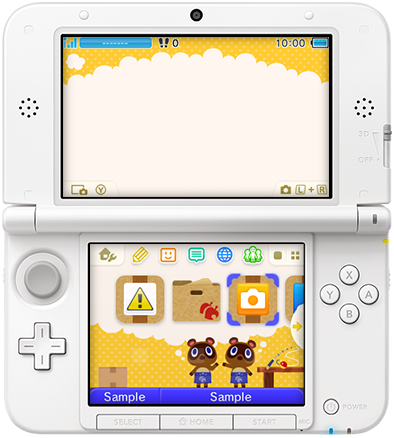 The themes customize 3DS menus, as well as the 3DS camera, sound effects and background music, though Nintendo only shows off the home screen in a gallery of themes. 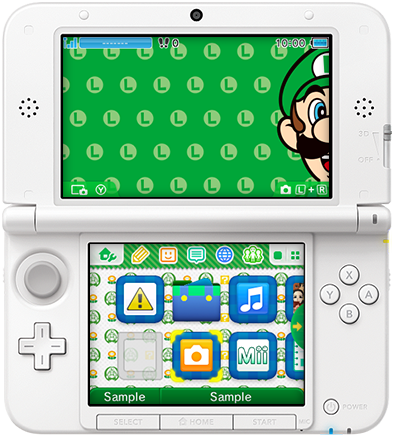 Many themes display classic Nintendo characters, such as Mario, Luigi, Peach, and Yoshi. 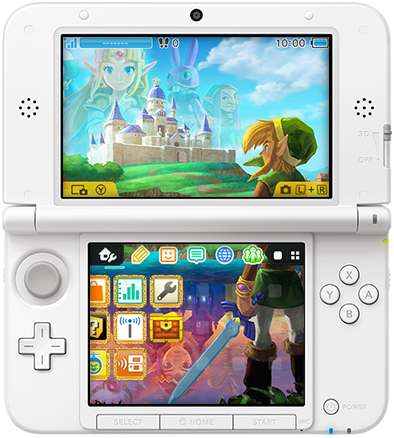 Other themes include Monster Hunter 4G, Yokai Watch, Animal Crossing, Legend of Zelda: Link Between Worlds, Blazblue, and Azure Striker Gunvolt. 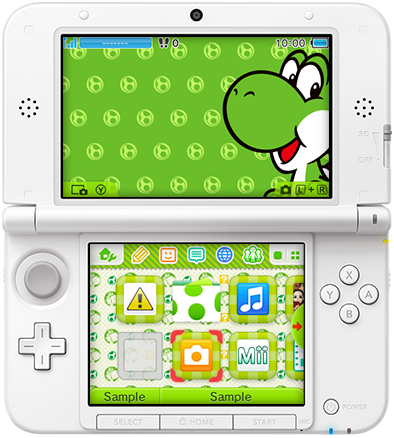 Other themes are not games-related, but add dots or stripes to the screens. The cheapest themes are 100 yen while the most expensive ones are 200 yen. Two themes, both simple color themes, are available for free. The list of every theme for Japan is available here. 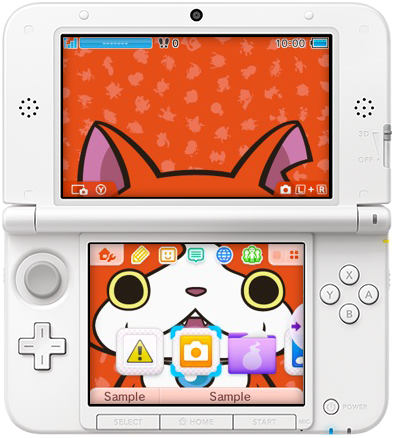 A firmware update to the 3DS this month will make the themes available to Japanese users. 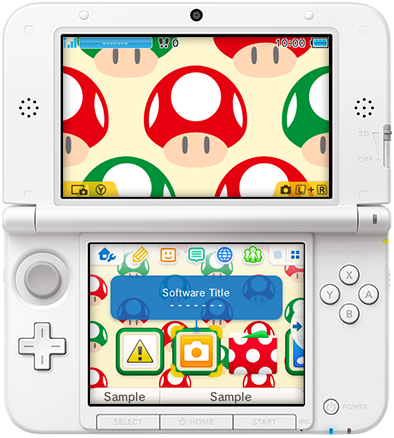 Nintendo of Europe confirmed one month ago that 3DS themes will be available to European 3DS owners as well; however, the company has not said which themes will be available, the pricing, or the date. 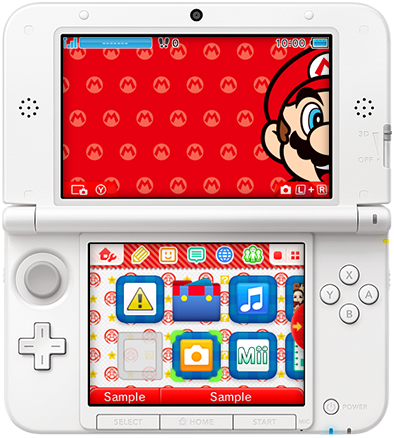 Nintendo of America will support themes as well, but details remain unannounced. Nintendo announced one month ago the New 3DS and New 3DS XL systems. So far, only Nintendo of Australia has announced a launch date - November 21 - for the systems. The Escapist has reached out to Nintendo of America about the company's plans for 3DS themes and will update if we hear anything new.